After showing off the main features for iOS 8 at its Worldwide Developers Conference today, Apple announced improvements for the App Store starting with iOS 8, including app bundles, integrated beta testing, improved search and more. In order to improve discoverability, the App Store will soon add an "Explore" tab, allowing users to explore through categories and sub-categories easily. Search has also been improved, with the ability to see the top trending searches in the App Store and related searches. 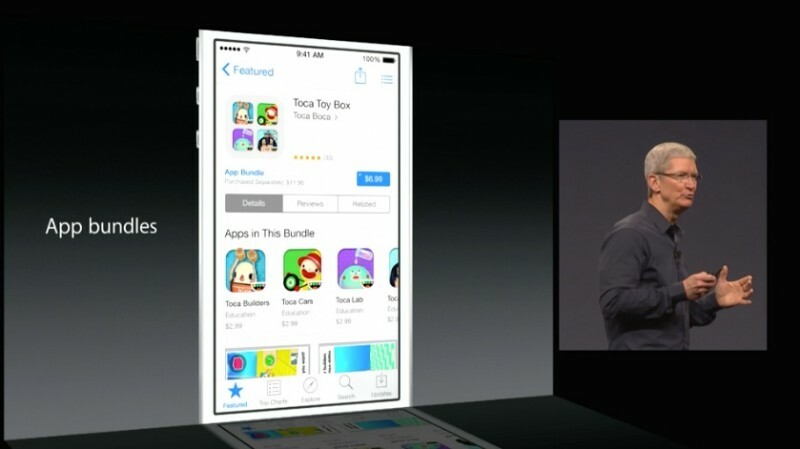 Developers will also be able to bundle together apps, allowing users to buy multiple apps for a single discounted price. Also available to developers are previews, which allows developers to include short videos to tell users what their apps are all about. Finally, developers can also invite users to beta test their apps in a new service called TestFlight, which allows developers to see information about their apps from right within the service. The service is free for developers, and stems from Apple's acquisition of Burstly, which offered its own TestFlight beta management service, back in February. Apple also announced that there are now 1.2 million apps in the App Store and nearly 300 million visitors to the App Store per week who are downloading apps. The App Store has also reached another significant milestone, passing 75 billion apps been downloaded since its 2008 debut. Apple came so close to doing the right thing. App previews and beta testing are nice... but I really think they need to implement a hybrid of the 2 and give us app demos. Finally, developers can also invite users to beta test their apps in a new service called TestFlight, which allows developers to see information about their app from right within the service. The service is free for developers. 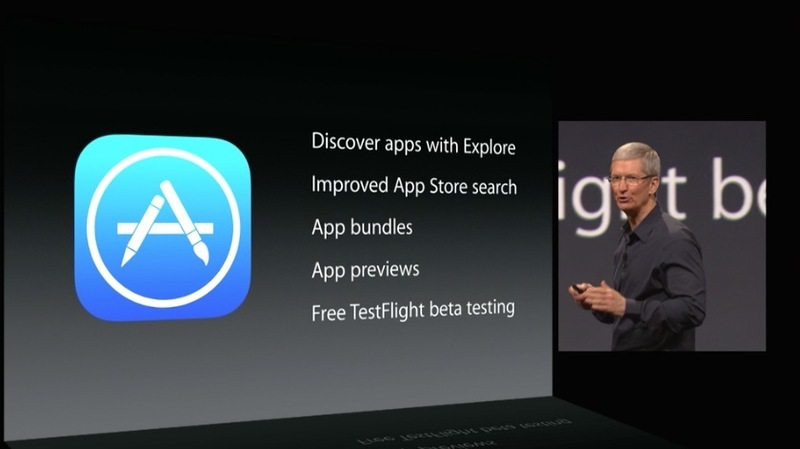 Apple acquired iOS beta testing program TestFlight in February. This will be great in particular for OS X (when/if it is implementedI'm not sure if it will be) where developers need to release betas outside of the App Store using workarounds (particularly with paid apps) and they don't always play nicely. Demos don't always work. Imagine making a demo for Threes, which has the same gameplay every time. You can't time limit it because sometimes it takes 30 minutes to play one round of it. Limiting it to one round will just let people play the demo over and over again. And if you limit it to just one or two rounds, it might mean that a user only gets 30 seconds to try it, which is pointless because you can't decide whether you like an app after 30 seconds. The Windows Phone marketplace lets you check out demos, but it has lead to most reviews being about how people LIKE the game, but they aren't going to pay the money to continue playing them. Too many people would just download them, just to check them out, and that's it. Why do you assume that developers would not be able to decide whether their apps can be demoed? I'm not. They have that option in the Windows Phone marketplace too.